Along with updating my Love Birds pattern, I have also updated my Churn pattern in preparation for finally having my patterns printed. 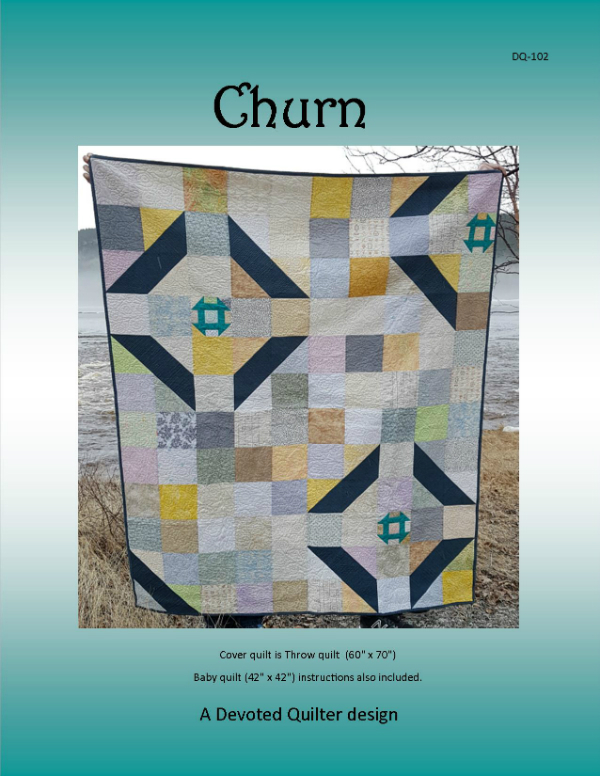 Churn was originally published in the 2018 Quilter's Planner and I have updated the pattern to include a 42" square baby quilt size with the original 60" x 70" throw size. I have updated the PDF pattern file which is available through my Payhip and Etsy shops, so click through to either shop to get your copy of the PDF pattern. If you'd like to see the printed Churn pattern in your LQS, I'd love to have the shop's contact information so I can contact them once I have the printed patterns in hand. I haven't made it yet but this quilt top is one of my favourites from the Quilters Planner Magazine.